Mac users, especially Mac Pro users, would have been waiting for this – a Fermi-derived workstation GPU. 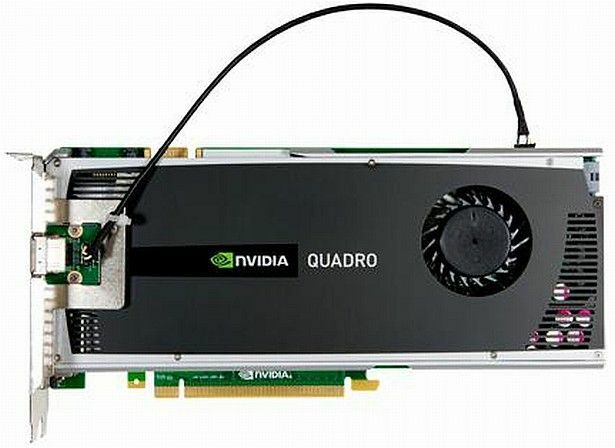 They’ve finally got what they wanted, in the form of the Nvidia Quadro 4000, which will deliver all the DX11 Fermi goodness, with CUDA as the icing on the cake. CUDA technology, while also relevant for gaming, makes it presence best felt under professional and workstation setups, where GPU-accelerated video encoding and rendering is a must, and ray tracing an often necessary evil. The Quadro 4000 for the Mac also features fast 64-bit double precision floating point capabilities to ensure accurate results in the case of mission critical applications, such as medical imaging and structural analysis. CUDA will also accelerate applications from companies such as Adobe, Autodesk, RTT, Dassault Systemes, Bunkspeed and many more. The Quadro 4000 promises 5x faster performance with Fermi than the previous generation, and with its Scalable Geometry Engine, it can process up to 890 million triangles per second. Keeping all this in mind, Nvidia is quick to point out that the Quadro 4000 is more than just a graphics processor, but a visual supercomputing platform which can handle stereoscopic 3D, scalable visualization and 3D high-definition broadcasting. [RELATED_ARTICLE]The card is virtually identical with the Quadro 4000 for the PC, and has 256 CUDA cores, 2GB GDDR5 RAM on a 265-bit memory interface, a 475MHz core clock and a 2800 effective memory clock, with a 950MHz shader clock. It will be priced at an identical $1,199. The biggest difference between the PC version and the Mac version is that the Mac version has 2 DisplayPort outputs, instead of 1 DisplayPort and 1 DVI like the PC version. Also ironic, is that while the Quadro 4000 supports OpenGL 4.1, though Mac OS X is still stuck at OpenGL 2.1. Then again, it would serve OpenCL quite well. 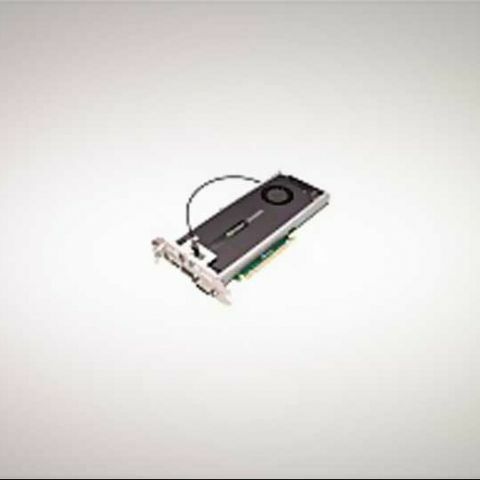 No other Fermi derived cards cards are available for Mac, with the much more powerful ECC equipped Quadro 5000 and Quadro 6000 still reserved for PC. Should i Wait for the nVIDIA Pascal??????????! !